Click here to download our Pre-Need Form (requires Adobe Reader) or fill out the form online. The form will guide you through the information needed to begin pre-planning for funeral services. Thinking about death, to say nothing of planning for your own or that of a family member, is often an uncomfortable subject to discuss. However, funeral planning before the need arises is an important topic. Pre-planning can include the planning of funeral service details, recording of biographical information and selection of merchandise as an important step in overall estate planning. having to make difficult decisions at a stressful time. - Purchase funeral goods and services that are guaranteed at today's prices. 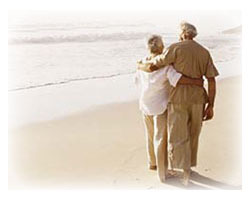 - Determine the type of funeral service you feel is most appropriate for you. Contact us to make an appointment to discuss pre-planning. You will be able to discuss confidentially and at your convenience the costs and payment options available. We offer this service free of charge with no obligation.